As Jake prepares for the annual hospital brain surgery, he mutters that he remembers who he is. Patrick has trouble with the operation, possibly because he can&apos;t see the field of surgery through Jake&apos;s full head of hair. Carly apologizes to Sam about Jake. She then cries on Sam’s shoulder about Michael being a big meanie to the best father that ever fathered in the history of fatherhood. Sabrina wonders if Michael is suing for custody of Avery for her sake or his own. Michael claims he wants Avery to not worry about getting shot in the head on a daily basis. 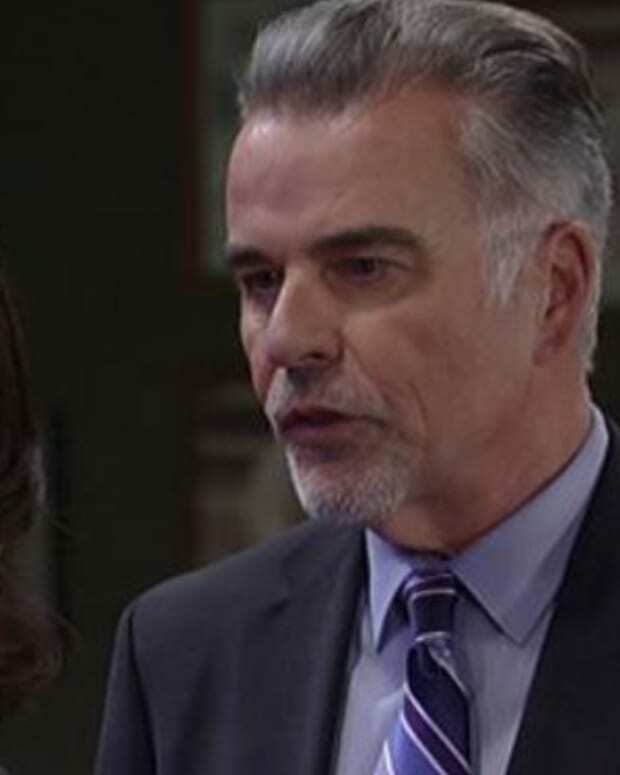 Duke offers the reigns of the business back to Sonny, who doesn&apos;t want them because of the custody fight. Or until mean Michael backs off and gets over the whole “murdered my father in cold blood” thing. Nikolas is shocked, SHOCKED that his grandmother would keep Jake&apos;s true identity from his loved ones. Helena reminds him that she&apos;s Helena Cassadine and it&apos;s what she does. Nik decides he&apos;s going to spill the beans, but Helena dangles ELQ in front of him. She reminds how Pentonville isn&apos;t as much fun as Sonny and Julian make it out to be. Alexis tells Ned that she and Julian are back together. Julian overhears that Olivia&apos;s appointment was with Dr. Chu and does the math quicker than Sonny ever has. He asks if she&apos;s pregnant with his child. Olivia denies the pregnancy until Ned and Julian decide to duke it out behind the Burger King and admits it. Ned declares he&apos;s the father. Apparently that&apos;s the go to answer for Ned when it comes to women being impregnated by mobsters. The glorious Anna returns much to Sloane&apos;s chagrin, or maybe that&apos;s his usual expression? Anna says she&apos;s now a federal agent with Sloane in her sights. Oooh burn. Sonny tells Michael that he&apos;s no longer running the business. Michael tells Sonny to take a hike.